In our backyard with Sam. 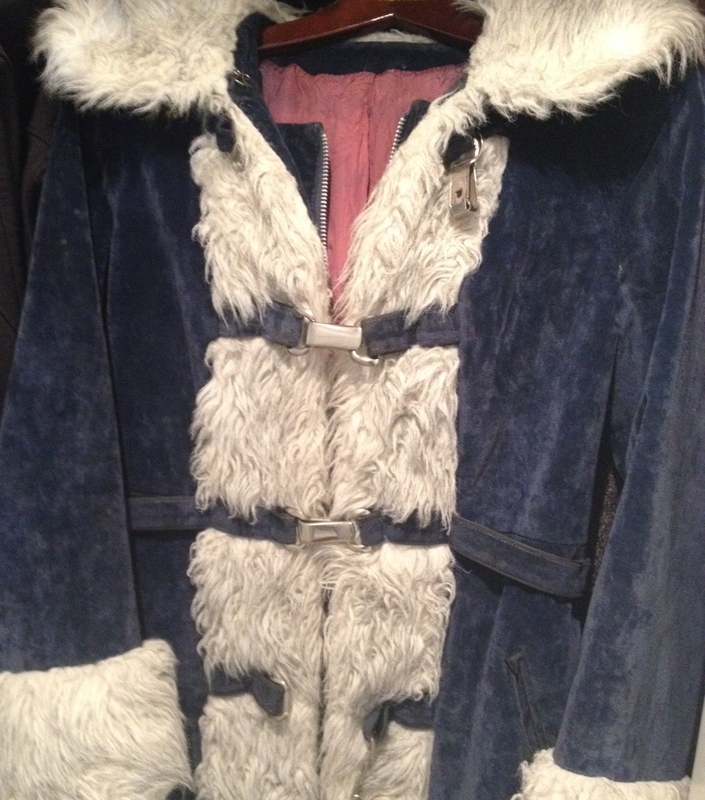 My mom bought this coat in 1971 or 1972 (although she thinks it was probably the former). She, my Dad and my sister were living in Germany at the time (I wasn’t born yet) and were visiting relatives in upstate New York. One day my cousin Kathy suggested a shopping trip. Perhaps there was mention of winter sales, the details are sketchy. Mom didn’t remember at which store she purchased the coat, but the tag tells us: Sears, Roebuck and Co. The label also reads, “Sears Jr. Bazaar” which means it was part of the store’s junior line. My mom was in her late 20s or early 30s, so that totally makes sense. Plus, she’s 4′ 11″ and I’m not sure how many stores back then had great petite selections. 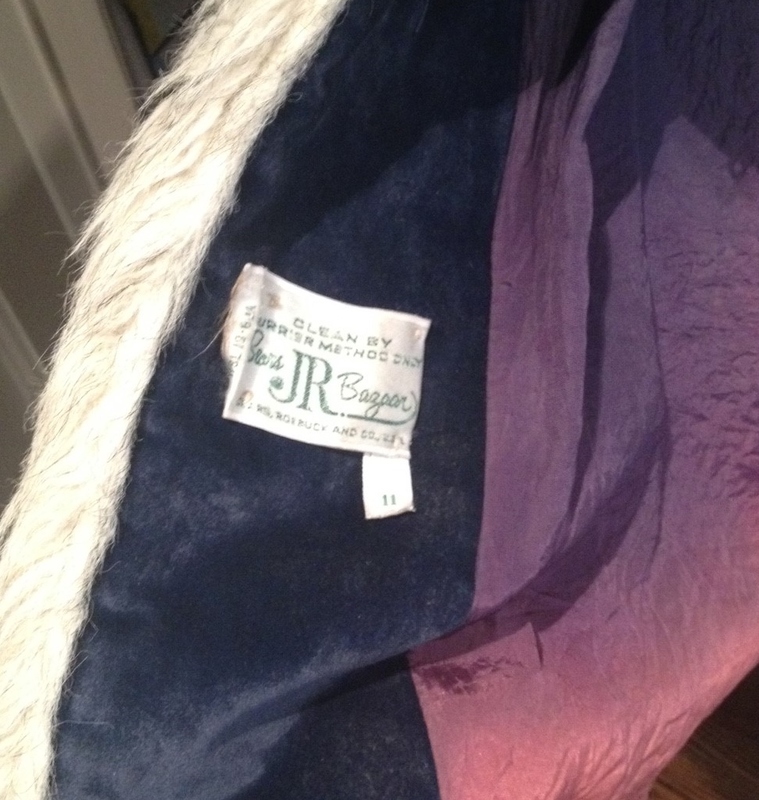 The top of the label reads, “clean by furrier method only.” An online search gave me somewhat confusing and vague results, but it appears that this phrase indicated not only how to clean the item (a type of dry cleaning, or perhaps simply dry cleaning), but also that the item was made of faux fur. When I brought the coat home from our to Hawaii last February, it was in a sad state. The lining was fading and had separated from the main part of the coat, the pockets were ripped, the cuffs on the sleeves were starting to fall apart and the suede was getting spotty (I’m assuming due to the humidity). I had the coat repaired by a local seamstress in San Francisco (she did a great job) and after a wipe-down by me, most of the spotting was gone or barely noticeable. It still looks rough around the edges, but it fits me perfectly and is fun to wear. I feel a little self-conscious wearing it around town because I prefer to go unnoticed. But I hate thinking about the coat sitting in the closet ’til my girls are big enough to wear it, so I’m going to try and put it on more often. 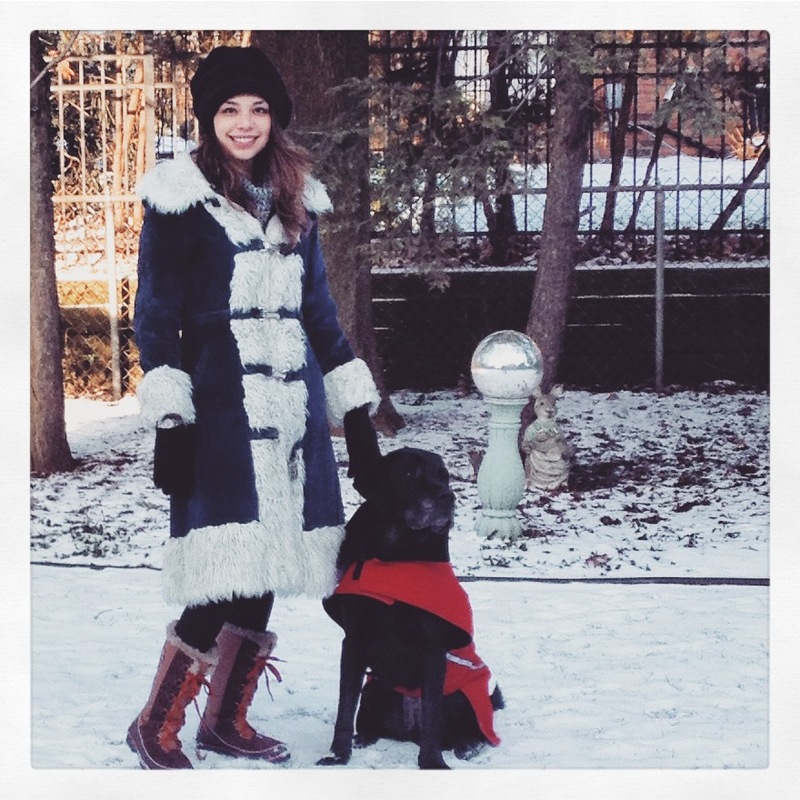 This entry was posted in Fun, Other and tagged 1970s, 70s, Fashion, Sears, Sears Roebuck, Style, Vintage, Vintage 70s, Vintage Coat, Winter Coat. Bookmark the permalink. I love it! And it looks great on you – can’t believe your mom held onto it all these years. Looks fantastic on you! Its a lovely coat.